In the clay pot add onions, with spring water to cover, bring to a boil and simmer for 3 to 5 minutes. Add a piece of kombu to the bottom of the pot. 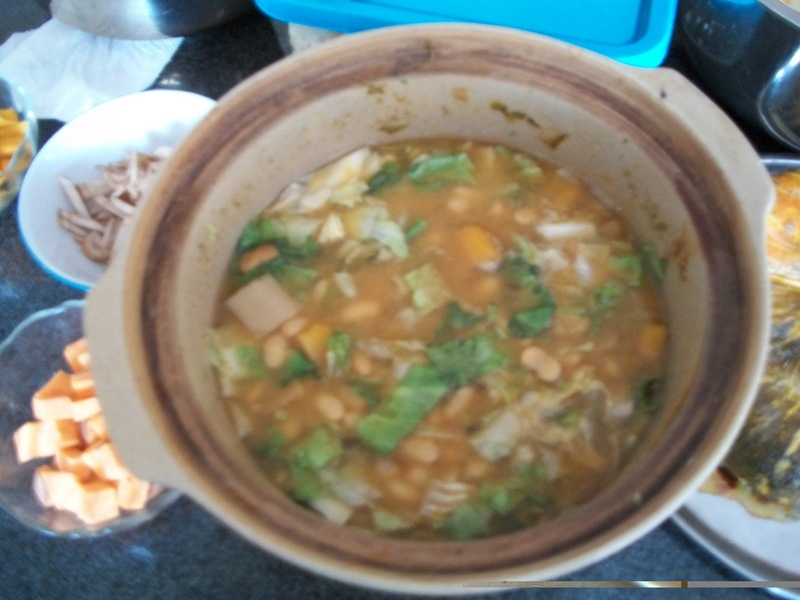 On top of the kombu, add the celery, butternut squash, and the great northern beans. Add enough spring water to cover the beans. Bring it to a boil with a high flame. Then cover and simmer for 1 hour, adding some water when needed. Add chopped escarole leaves. Cook for 3 minutes. Add diluted miso with some of the beans’ water. Cook 3 more minutes. Serve.